April is Limb Loss Awareness Month, a time to draw attention to the many people affected by limb loss and the reasons why amputations are performed. People of all ages and from all walks of life lose limbs for a variety of reasons, and the number is growing. There are millions of people in the United States with amputations and The Amputee Coalition says that 60% of amputations are preventable. Limb Loss Awareness Month helps bring attention to the growing number of those living with limb loss and to increase the understanding of amputation prevention. Approximately 2 million Americans currently live with limb loss and another 28 million are at risk for amputation. Limb loss is not uncommon and many may not be aware that it is largely due to disease (54%), and is preventable! Limb loss can affect people of all ages, ethnicities, and genders, but those at greatest risk are people who have diabetes or peripheral arterial disease (PAD). You may have friends or loved ones who mention that they have “poor circulation” and leg pain. Maybe they have wounds that won’t heal or they can’t sleep at night. But, they dismiss their health problems as just part of getting older. Or maybe you’re experiencing similar health problems yourself. The trouble is, health problems such as heavy, tired or painful legs and feet could point to something much worse than just getting older. You could be at risk for peripheral artery disease. Few people who have PAD know their options or even realize what PAD is. However, PAD is the biggest disease that most people have never heard about. It affects more than 18 million people – more than cancer, stroke and congestive heart failure**. PAD isn’t something you can just shrug off. Early detection is important. If you think you might be at risk for the disease, consult a health care professional right away. Peripheral arterial disease, also known as PAD, occurs when arteries become blocked and hardened by a buildup of plaque on the interior vessel walls decreasing blood flow to the legs and feet. As a result, the extremities do not receive the necessary amounts of oxygen and nutrients. If left untreated, PAD can lead to non-healing foot ulcers, wounds, and critical limb ischemia, all of which can lead to foot amputation. Many people living with PAD do not experience any symptoms and are not aware that the disease is progressing. Those that do usually experience muscle cramping, leg pain or cold feet when walking that improves with rest. It’s possible that some people dismiss the symptoms as a normal part of the aging process. The most common symptom of peripheral artery disease (PAD) in the lower extremities is a painful muscle cramping in the hips, thighs or calves when walking, climbing stairs or exercising. The pain of PAD often goes away when you stop exercising, although this may take a few minutes. Working muscles need more blood flow. Resting muscles can get by with less. If there's a blood-flow blockage due to plaque buildup, the muscles won't get enough blood during exercise to meet the needs. The "crampy" pain (called "intermittent claudication"), when caused by PAD, is the muscles' way of warning the body that it isn't receiving enough blood during exercise to meet the increased demand. Be sure to find out if you are at risk for PAD and speak to a physician. Only a healthcare professional can diagnose PAD. When detected early, risk of amputation as a treatment option is lessened. Early detection can result in more PAD treatment options available, and may slow the progression of the disease. Initial treatment options for PAD could include lifestyle changes, prescription medications, or minimally invasive procedures to restore adequate blood flow to the limbs. MIMIT Health offers Minimally Invasive Treatments for Peripheral Arterial Disease (PAD). If you have any questions or would like to set up an appointment, MIMIT Health can be reached 24 hours a day, 7 days a week, at (708) 486-2600 or email info@mimithealth.com. Education is merely the first step towards taking action, not the last. 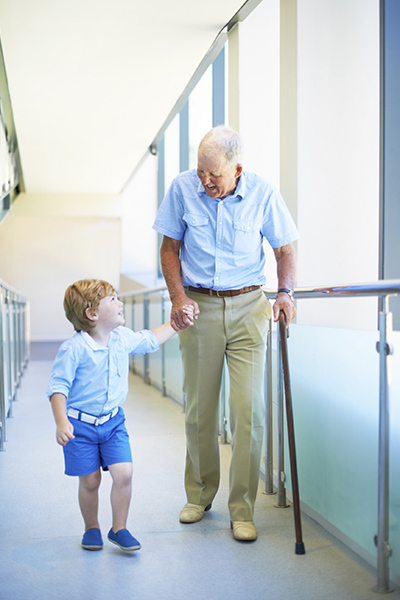 If you or a loved one is at risk of amputation due to vascular disease such as PAD, help spread awareness and take preventive measures by getting screened or seeking treatment for symptoms. ©MIMIT Health 2019. All Rights Reserved.